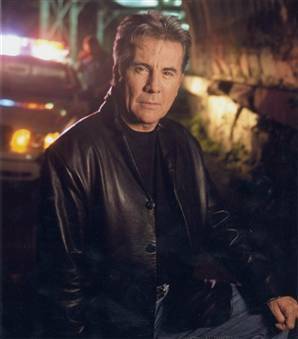 The show is hosted by John Walsh. Following the abduction and murder of his young son, Adam, Walsh created the National Center for Missing and Exploited Children. In most episodes, Walsh to introduces a case and it is then serialized in dramatized segments. When fugitives are caught with the public’s help, Walsh highlights it on a subsequent program, along with a running total count of how many fugitives have been caught. The 25th season concludes with the search for the U.S. Marshal’s latest addition to the 15 most-wanted list. First aired: October 12, 2012. What do you think? Do you like the America’s Most Wanted TV series? Are you sorry that the show has been cancelled? Yes with this show crimanals has no way of hiding. Put it back on. Needs to come back especially ln these times,was a very effective tool to clean up corruption and get the criminals behind bars where they need to be. Could also be effective for our country against terroism. I just don’t get it. Shows that are informative they cancel. Reality crap that show the lives of Hollywood so called stars last . America’s Most Wanted is a show that should not have been cancelled. Who makes these decisions? I guarantee you if you all were to set up a page letting the viewers vote on America’s Most Wanted, the viewers would not want it cancelled. I wish they would bring it back. It kept America updated and aware. I loved this show and I am looking for one like it. I like being update. It keeps you aware of all major criminals in all states. I believe that is ultimately important. I could I find a list of ALL fugitives featured on America most wanted Show? I miss this show much it was so helpful I wish the show come back on TV ! Yes, I miss AMW. Toward the last couple years I read the AMW website on the internet, because it was easier, as I could look at anytime. I ended up here by trying to find an old episode about a black female harassing a white couple who moved into her neighborhood to get to see some diversity. The black female shot and killed the new white male who was still in, apparently for no reason. The suspect up and left the area, and never came back.